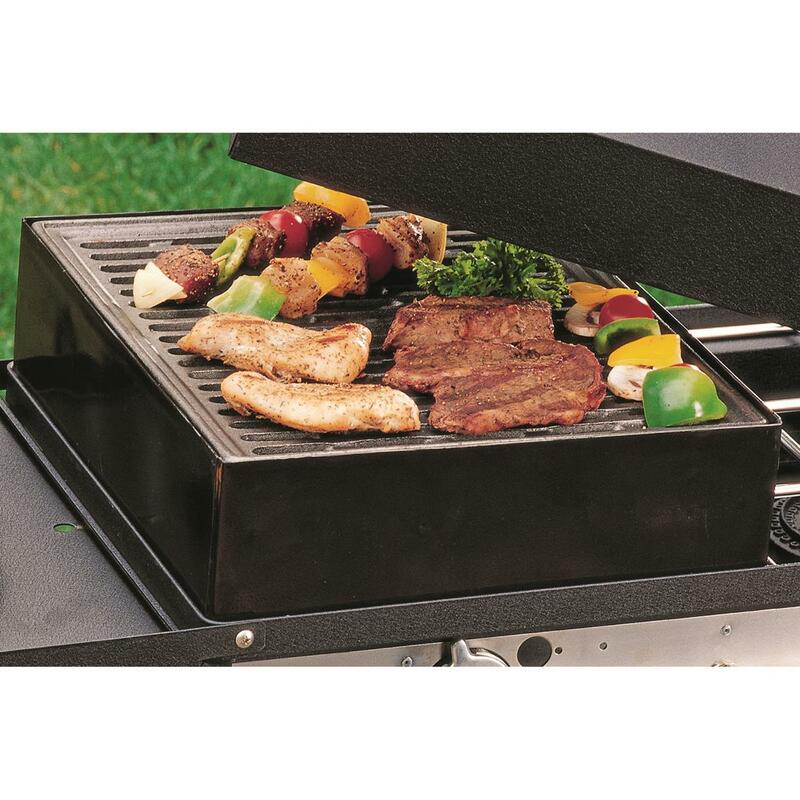 The single burner Barbeque Box turns your outdoor gas stove into a portable barbeque grill. With the patented diffuser plate you don't have to worry about hot spots. 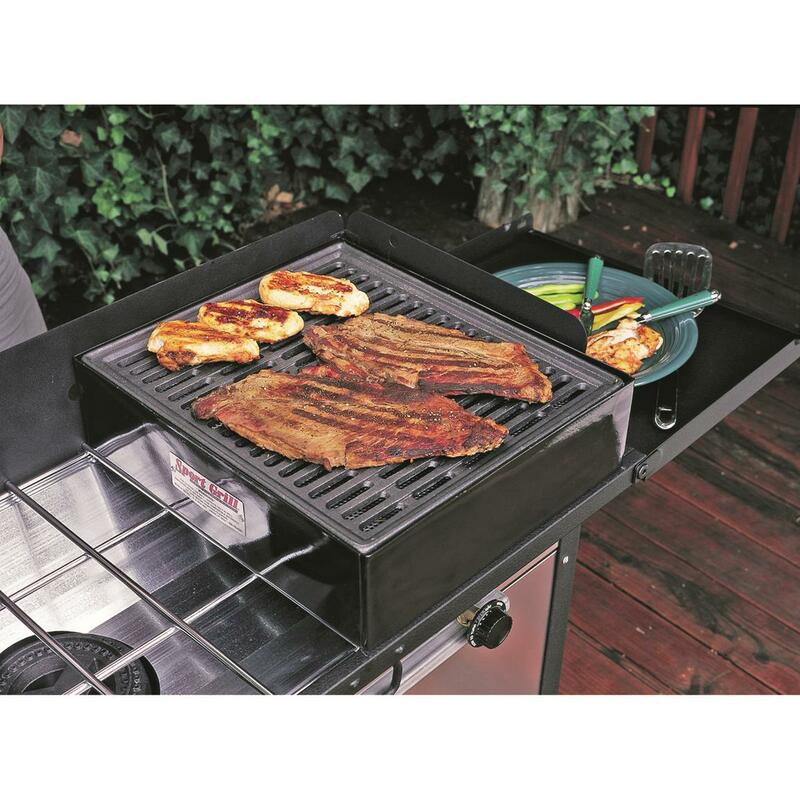 The diffuser captures and vaporizes grease, infusing your food with a rich BBQ flavor. The cast iron cooking surface holds the heat and sears the meat. A vented lid is included to help keep the heat in. 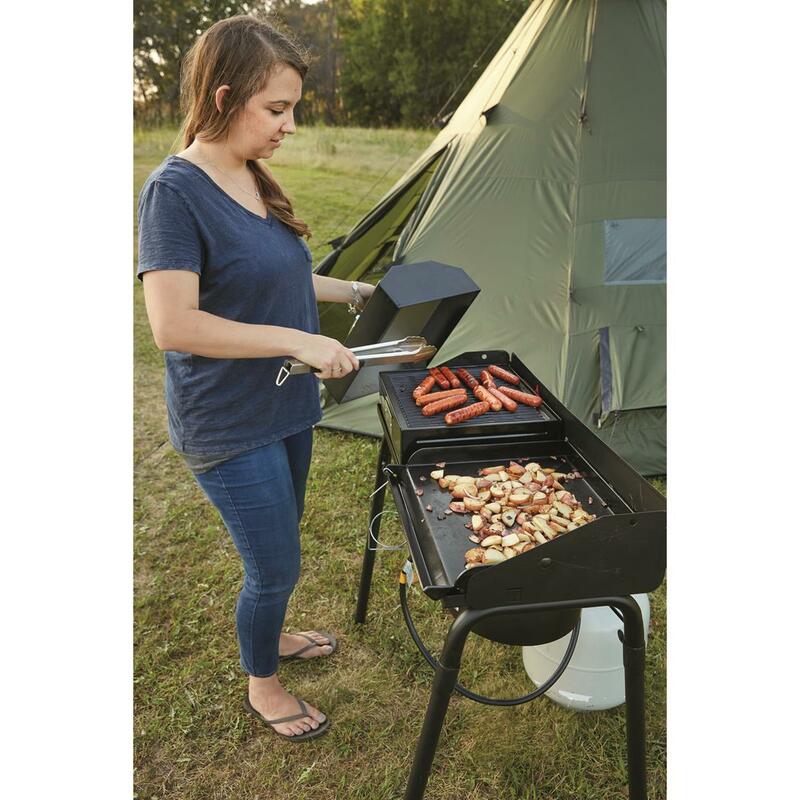 This system covers one burner on both the 14" and 16" Camp Chef Cooking Systems. Get cooking creative by ordering ONLINE today! 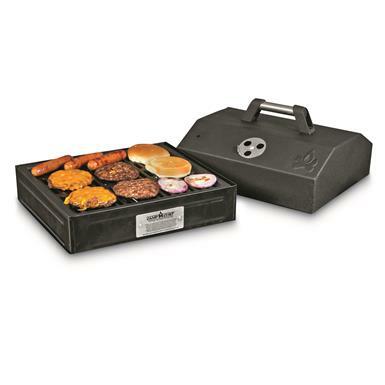 Overall: 14" x 16" x 11.5"
Camp Chef BBQ Grill Box is rated 4.0 out of 5 by 6. 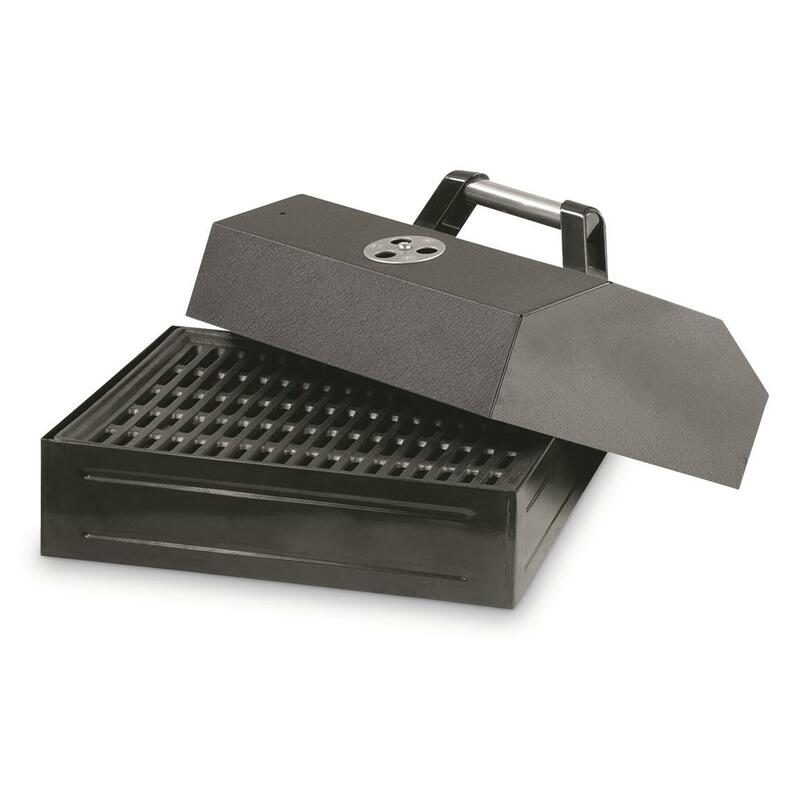 Rated 3 out of 5 by BrandonStee from disapointed Just bought this grill box, took it out of the box when i got home and looks very poorly made. The bottom metal part is already all warped and bent out and corners are all damaged with paint missing. So far I am not impressed with this product, will probably be taking it back. Rated 4 out of 5 by Glenn MacEllis from Rather Handy Gadget I bought a two-burner Camp Chef Stove with one regular burner (for a griddle) and one high output burner (for big-pot boiling). The high output burner was generally too hot for a griddle. 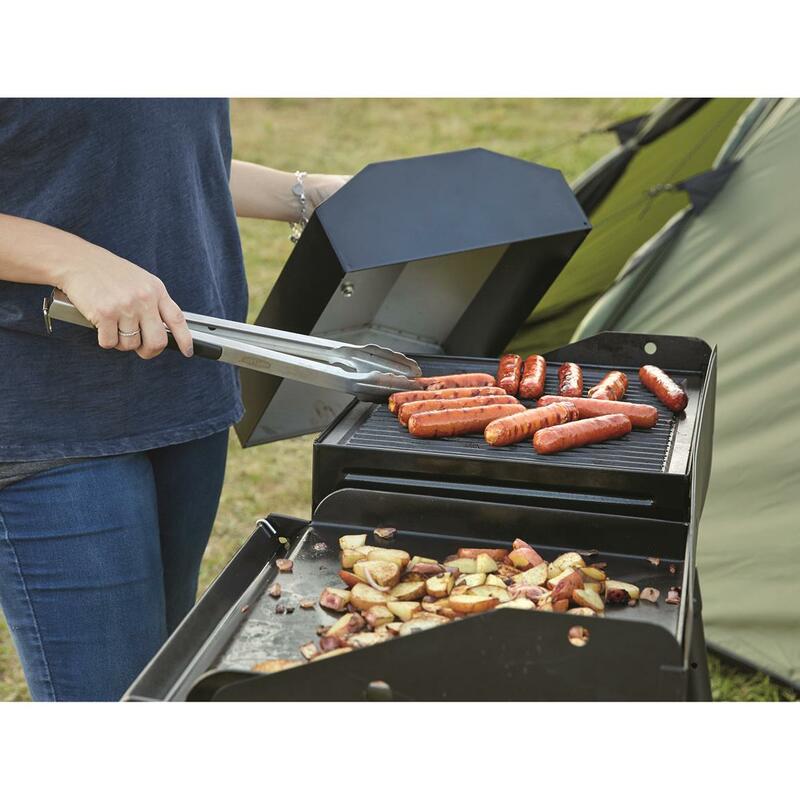 However, with a diffuser plate and the grill box, it works great, is easy to clean, and is an easy-to-haul around addition. Watch the handle, which can get hot. Rated 2 out of 5 by Pepper from Get what you pay for! This item is cheaply made with the bottom warping 1st time was used. Quality could be better. Works for that camp trip if that is all you have. Rated 5 out of 5 by Lynn05 from Love it! Bought my hubby a grill for his birthday. 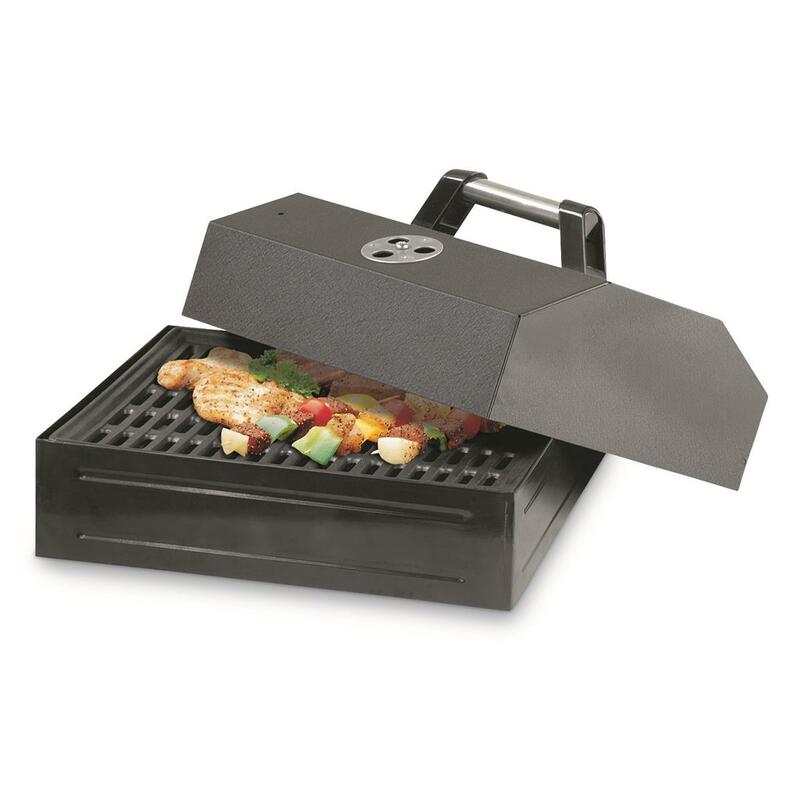 Now going to get him the BBQ Grill box for Father's day!! :) He Loves it! Rated 5 out of 5 by BSCJSJ from sent one to mom for x-mas We have a family of four and it is a perfect size. Even for grilling corn on the cob. I rarely use my big grill. It is more than perfect, if I want to add some wood chips for that extra smoke flavor between the pan and the grill. I have smoked burgers, steaks, chicken, pork even though it doesn't come out with as strong of a smoke as my smoker it still will have a great smoke taste to it. Rated 5 out of 5 by Denver Camper from It cooks better than I thought it would! This grill works great, we used it last weeked. I love the way it cleans up. Mom's famous apple pie never tasted better! 3,000 BTU Oven with 400ºF max. temp. Portable, versatile design has the same capabilities as your home oven.